In the aftermath of the Civil War, an aging itinerant news reader agrees to transport a young captive of the Kiowa back to her people in this exquisitely rendered, morally complex, multilayered novel of historical fiction from the author of Enemy Women that explores the boundaries of family, responsibility, honor, and trust. A great story needs more than a good voice but a great voice that can tell each chsracter's story. And, this is a great story read by the perfect narrator. This story makes us aware that despite our racial & cultural differences or even political beliefs, we can apply the Golden Rule & treat people with respect & dignity. Yes, we can even live together. 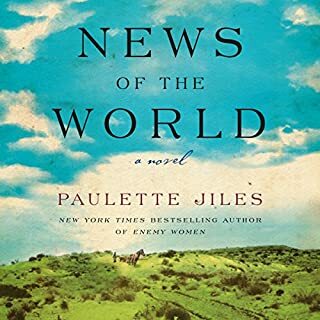 Paulette Jiles has written a beautifully poignant story about people during a period of political unrest. The state is Texas & the people are a mixture of free blacks, Germans, Irish, Native Americans, poor whites, Captain Jefferson Kyle Kidd & the blue-eyed, 10 year old white girl who had been captured by the Kiowa tribe. I love the words, the history, the emotions, the characters that seem typical, all expressed in their various dialects. I love stories that touch me in such a way that renews my faith in the goodness of people -- regardless of their skin color, culture, politics. I love this story because it stirred my curiosity. I learned about some world events during that time in 1870, geography of Texas, the Caddo, Kiowa, politicians Davis & Hamilton, even "googled" ash hopper & a map of Texas to follow their long journey. What a perfect beating of the heart, -- the sounds of Paulette Jiles' poetic story about the bonds of love heard by Grover Gardner's modulated cadence! Just superb! 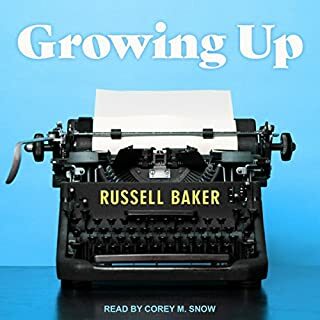 In this heartfelt memoir by the Masterpiece Theatre host, Pulitzer Prize winner, and groundbreaking New York Times columnist, Russell Baker traces his youth in the mountains of rural Virginia. When Baker was only five, his father died. His mother, strong-willed and matriarchal, never looked back. After all, she had three children to raise. These were Depression years, and Mrs. Baker moved her fledgling family to Baltimore. Baker's mother was determined her children would succeed, and we know her regimen worked for Russell. Delightfully honest, tender & funny! The American dream of a poor white country boy to "make something of yourself. " A good English mystery but disappointed with similarities to Poirot & Midsummer Murders. Excellent narration. 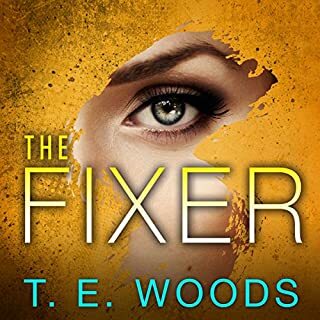 In the "compelling" and "pitch perfect" follow up to Tana French's runaway best-seller In the Woods, it's six months later and Cassie Maddox has transferred out of the Dublin Murder squad. But an urgent telephone call beckons Cassie to a grisly crime scene. The victim looks exactly like Cassie and carries ID identifying herself as Alexandra Madison, an alias Cassie once used as an undercover cop. Suddenly, Cassie must discover not only who killed this girl, but, more importantly, who is this girl? "This is a re-issue of a great book. Roseanna Chaldecott spent her life as a high-powered lawyer in Manhattan. But when her best friend and law partner dies suddenly, something snaps. Unsure of her future, Roseanna heads upstate on one tank of gas and with no plans to return. In the foothills of the Adirondacks, Roseanna discovers the perfect hideout in a ramshackle farm. Its seventy-six acres are rich with possibilities and full of surprises, including a mother and daughter squatting on the property. Although company is the last thing Roseanna wants, she reluctantly lets them stay. A wonderful story set in the isolated & quiet Adirondacks juxtaposed with the crowded & noisey city about life and death, joy and sorrow, expectations & dissppointments, redemption & reconciliation. We meet Roseanna with a stoic heart who eventually finds meaning to life, friendship & love! through the most unlikely souls. It is her take on heaven. She decides on the nickname "Rosie" & slowly sheds her thorney personality. I cried a little, laughed a lot and lingered in the lives of these folks. No other narrator could have delighted our ears and hearts like Laural Merlington. I will think about this story and when I have tired of enough negative news, I will drive to a high hill near my home, park where the view is breath-taking and listen to Laural Merlington's voice ring with humor & wit! It may be the closest thing to heaven. Sherlock Holmes is the greatest detective in literary history. For the first time since the death of Sir Arthur Conan Doyle, a new Holmes story has been sanctioned by his estate, whetting the appetites of fans everywhere. 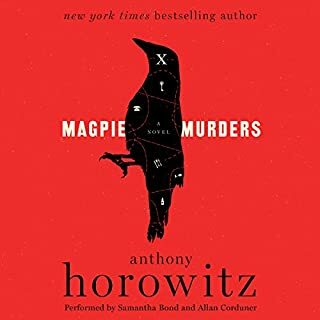 Information about the book will be revealed as deliberately as Holmes himself would unravel a knotty case, but bestselling novelist and Holmes expert Anthony Horowitz is sure to bring a compelling, atmospheric story to life. PLEASE tell me there are MORE ! Exciting plot with mysterious characters & events intersecting for a thrilling mystery. 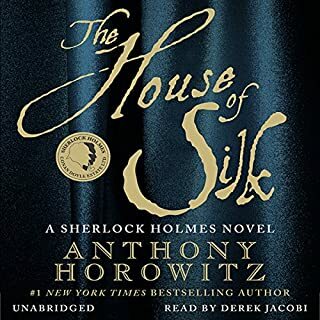 Horowitz is as good a crime detective as Sherlock. Superb narration completes the performance!! Penobscot Indian Molly Ayer is close to "aging out" out of the foster care system. A community-service position helping an elderly woman clean out her home is the only thing keeping Molly out of juvie and worse.... As she helps Vivian sort through her possessions and memories, Molly learns that she and Vivian aren’t as different as they seem to be. 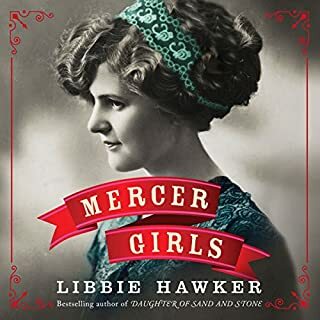 A young Irish immigrant orphaned in New York City, Vivian was put on a train to the Midwest with hundreds of other children whose destinies would be determined by luck and chance. Moving story of sharing and transformation. Heart wrenching search to belong!! This was a difficult book to listen to at times with its details of cruelty and hearlessness inflicted on Orphan children by foster parents. It is hard to imagine a society that shipped children hundred of miles to unfit homes where they were mistreated and sexually abused. They were treated and dumped like stray cats! Many of these children were looked upon as nothing more than cheap labor. I applaud the author, Christina Baker Kline for the many historical details she included in this narrative. The narration was superb and I could not stop listening to Molly and Vivian as their journey sparked flames of resilience to endure, empathy and compassion and s desperate hope to find where they belonged. 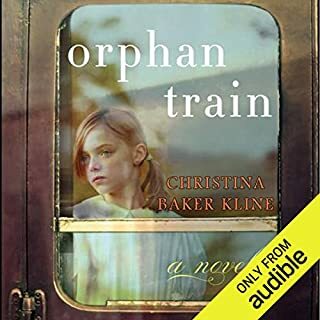 This novel was filled with a lot of emotion and I am not sure I will be listening to any more books on orphans who rode trains to live out a life void of love an hope! It's 1864 in downtrodden Lowell, Massachusetts. The Civil War has taken its toll on the town - leaving the economy in ruin and its women in dire straits. 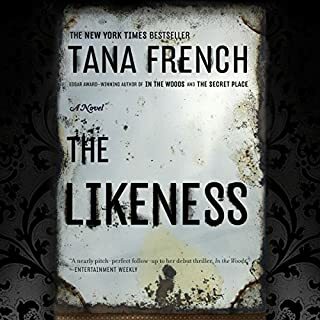 That is, until Asa Mercer arrives on a peculiar, but providential, errand: he seeks high-minded women who can exert an elevating influence in Seattle, where there are ten men for every woman. Mail-order brides, yes, but of a certain caliber. Disappointing story and narrator filled wifh too many cliches. Sophronia was the most interesting character. In the chaotic aftermath of World War II, American college girl Charlie St. Clair is pregnant, unmarried, and on the verge of being thrown out of her very proper family. She's also nursing a desperate hope that her beloved cousin Rose, who disappeared in Nazi-occupied France during the war, might still be alive. 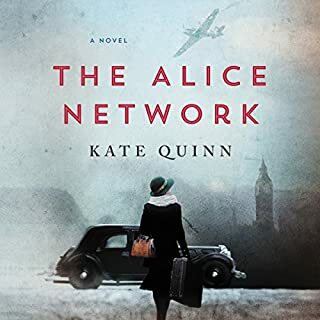 Kate Quinn has written a thrilling story about a forgotten spy Network and two world wars. I must admit that I had to take a break from reading the graphic descriptions of man's inhumanity. 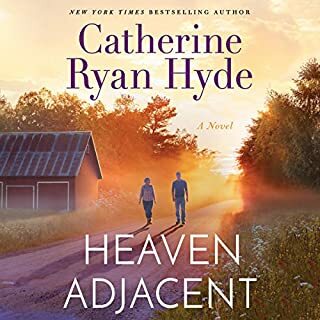 I was not familiar with the Alice Network but was riveted to the story that Kate Quinn told of Eve and Charlie, two very different lives intersecting as they searched for closure to the past. The narrator did an excellent job portraying all the characters and accents. I especially liked her Scottish brogue!